Having the will to fully commit yourself to a path in life is difficult. Yet, Bryn Dickerson, team member of FS Funn Factory Racing, seems to have found a way. From his time as a privateer to being part of a team, this rider brings a lot of experience to the table. Bryn discusses his fight through a life-threatening injury and the direction he thinks the World Cup is headed. As a professional athlete and business owner, he has a true passion for riding bikes and the will power to push for success despite the challenges. We're looking forward to seeing more from Bryn in the coming years. A little village called Pauatahanui in New Zealand. For my own personal sponsors, I have Horleys nutrition, Burkes Cycles, 24/7 Fitness, Centurion Athletic performance, and Blueshark New Zealand as well as my coach Adrian Armstrong. My parents are super keen on the outdoors and we did a bunch of tramping when I was just a little nipper. However, walking lost its appeal pretty quickly and I started biking. Turned out I wasn’t too bad at XC racing but I liked doing jumps too much so I started riding DH. Funny story was my mum making me sign a contract that I could ride but not race when I got my first downhill bike- that lasted about 6 months before I got so annoying she let me race. Pedaling, going flat out, bear mode, big jumps. Sometimes I over think the really techy/steep stuff and I definitely struggle when a track is in between wet and dry- that greasy stage where you just don’t know how slippery things are….I hate that. Oh, she’s a doozy! I hit a tree at 60kph in Norway during World Cup qualifying in 2013, I actually went through the first tree. Woke up and my left leg had a massive dent in it. Turned out I clean snapped my femur and the impact was so great it ruptured the blood vessels inside the muscles on my thigh (compartment syndrome). Basically, they had to cut my leg open and leave it open for two and a half weeks to let everything drain out or else the muscles would die. 7 liters of blood and liquid came out over two weeks. At its biggest, the hole was 21 centimeters across and extended from my hip to my knee. 117 Staples held it all together after 8 surgeries and I had body temperature fluctuations from 35 – 42 degrees within an hour. I was given 4.5 liters of blood and spent 3 ½ weeks in the hospital. I was so accustomed to lying down that the first time I sat up in the bed I passed out. I lost 12 kilos in 5 days. But hey….what doesn’t kill you makes you stronger. People always ask me this and I never have a clue. There are just so many good places out there! 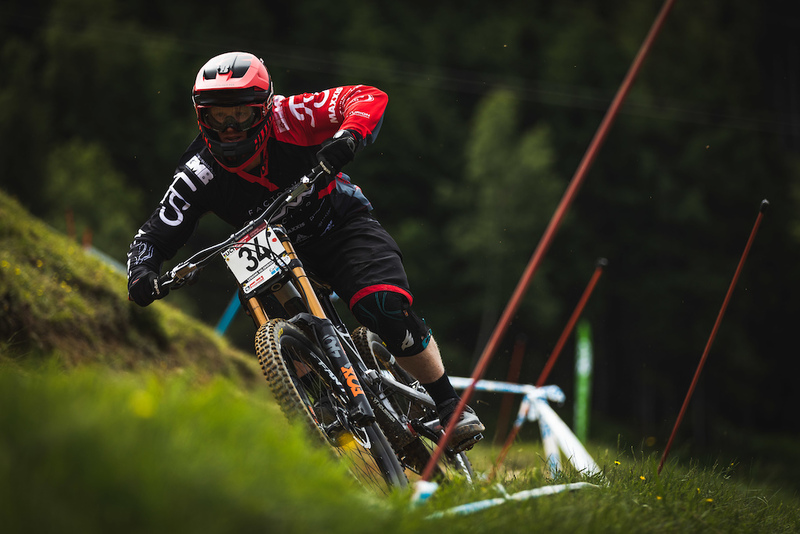 Whistler is always a standout, as is Serfaus in Austria and Dirtfarm at home. At the moment I am on a large YT Tues (Custom graphics for World Champs) and a large YT Capra. They are just the sickest bikes ever! Do you have any projects or trips planned for the rest of 2018? Yep, there is plenty in the works. Going to keep growing my business, Fluid Lines, and film some more videos that showcase the epic riding in New Zealand. I’ve got a couple of trips lined up domestically and internationally so they should keep the adventure stoke pretty high! If I'm at home I’ll get up, have breakfast, train, go coaching/filming/riding, come home and eat lots of food, then reply to emails and listen to music. On the race circuit, it varies so much, but as long as I get out for a hoon then it’s a good day! Being better than I have been previously. I want to keep progressing. Whether it is in riding, work, training or life in general; stagnating is something that I cannot deal with. Many things that I never seem to have time for! I’ve always been active and enjoy playing other sports while hanging out with mates. What’s your favorite non-bike website? I spend far too much time on Youtube watching people hurt themselves. The health and safety mentality around anything remotely fun or dangerous…what happened to common sense and personal responsibility? Food and jumps, both served big and often! Literally, anybody who gets out there and does cool stuff! Doesn’t have to be the biggest, fastest or gnarliest, but if you went out today and did something cool on your bike then you're my favorite rider! 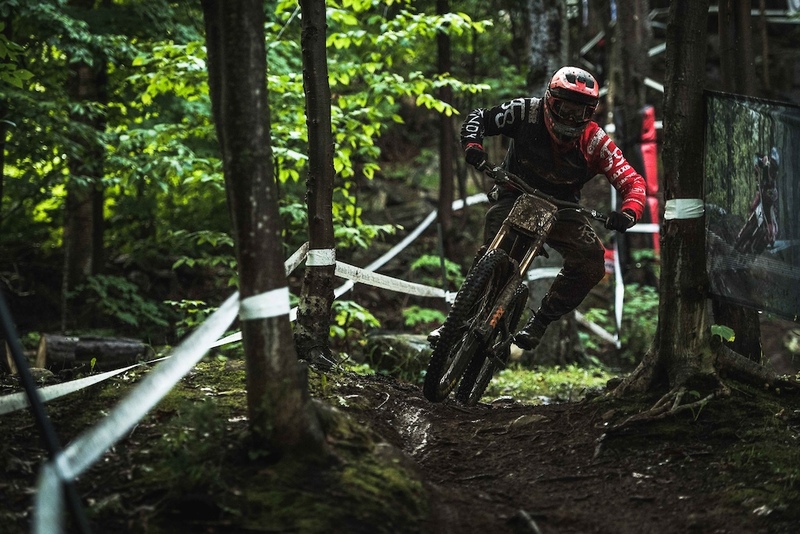 Where do you think the future of downhill racing is headed? 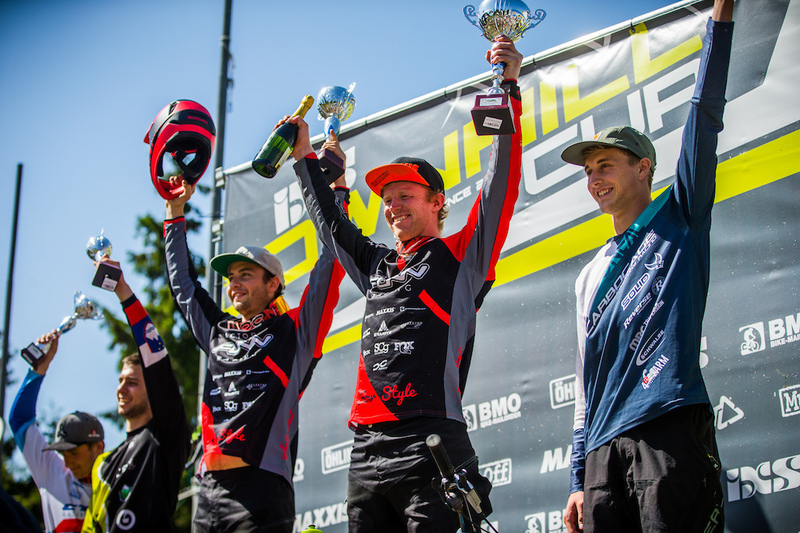 Away from privateers to the detriment of the sport. Having been a privateer for many years myself, it takes most racers time to build into the sport. It’s not easy just to come in, smash it and end up on a team. 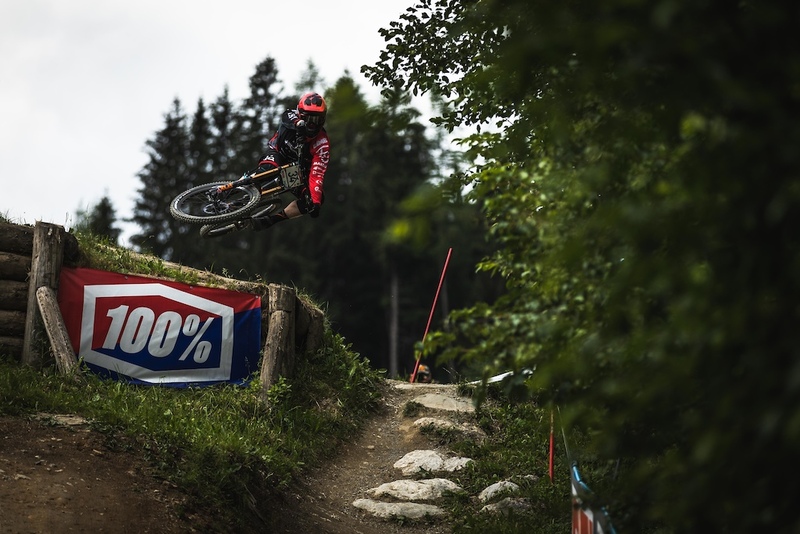 I think one of the best things about Downhill, as opposed to something like soccer, is that there is minimal politics, less “representative teams/positions” and fewer “federations” to go through just to be there. 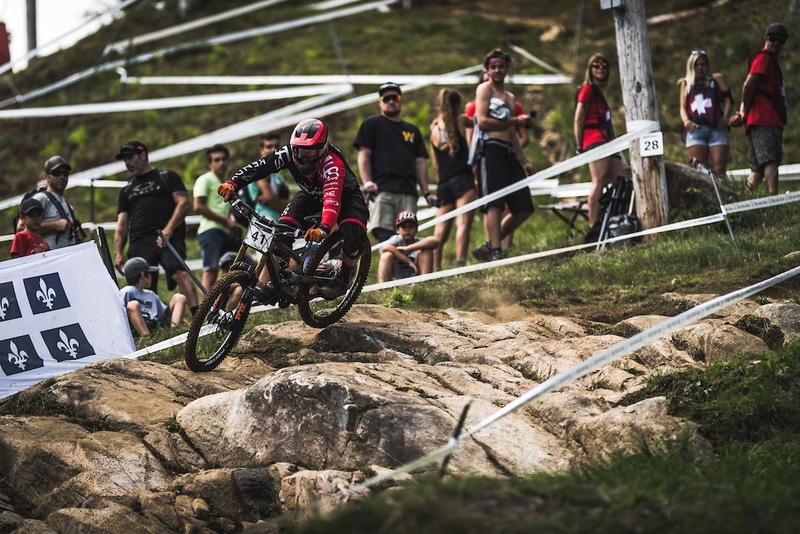 Anyone is able to get on a bike, go to a UCI sanctioned race, get some points and go race a World Cup. There is no limitation other than desire. But, with these people who are “guiding” the sport and changing the rules, it's becoming harder and harder to get the necessary points. If they keep changing things without thinking of the little guys, racing will become less financially viable. 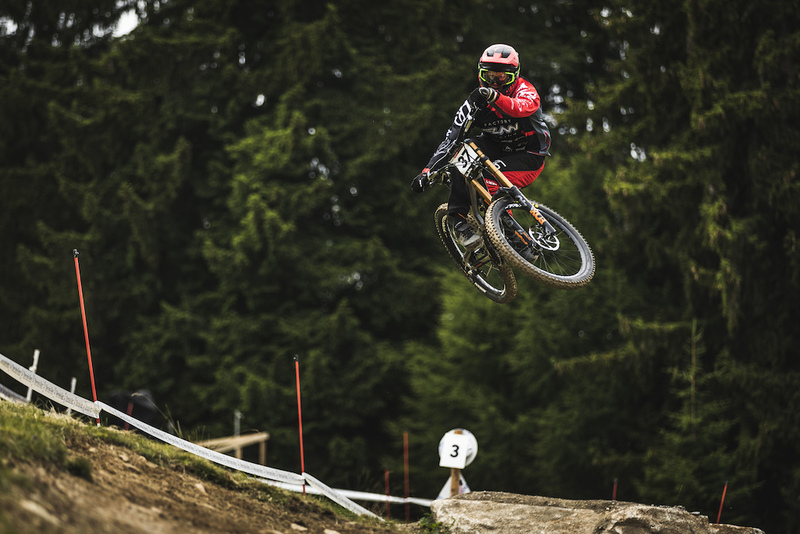 Without privateers, we won’t get to see awesome rides from people like Hugo Frixtalon (qualified 3rd in Val Di Sole 2018 from B practice) because they simply won’t turn up. It’s honestly something I have never considered, I put everything into riding and racing my bike. There has never been another avenue or something that has captured my attention as much as the two-wheeled life. What does the future hold for Bryn Dickerson? Bikes man, they are just so sick, aren’t they! Remy Morton. It goes to Remy Morton. One of our local bike Facebook groups had a "what's your gnarliest scar?" thread a while back. It was looking close until Bryn showed up with shots of the scars from that injury. i drove to the supermarket with my commuter bike and bought some ice (besides other things). did i do something cool? Great to see an article on such a great rider. You have worked hard to get where you are today. I still remember the early days riding with the HIBS school team and you were fast then! Hope you get back in the saddle soon. Cheers Clashy. That crash in Hafjell was brutal!!! After seing you flying through the trees like a ragdoll, it was so good to hear you scream, knowing you were still alive. Good to read that you healed up!!! ???? What a dude: But hey….what doesn’t kill you makes you stronger. @WAKIdesigns: come over here, we have sharks that'll kill you. Which can also kill you. @WAKIdesigns: Australia only has Koala bears. I don't believe they can kill people. We don't have any Bears in NZ. We don't get Star Wars jokes in NZ. Come a long way since being that hyped up kid smashing up 80/20 with a 38 tooth chain ring and drinking choccy milk 24/7! Yeah boiii! Had to look up "hoon". We're going to need to popularize this. now i get where Hoonigan comes from ! Too right, +1 for the hoon. Am known to go for the odd fang as well. Fangs are good. What an amazing outlook and attitude!